Knowing what people are saying is key to achieve your goals. You need to know what are they saying, but sometimes there is too much information and you may not have time to analyze everything as deep as you need. 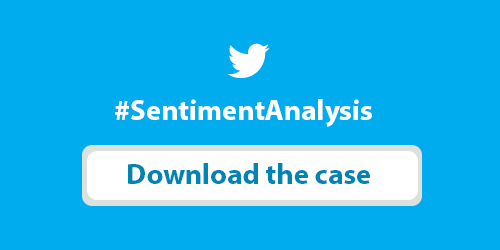 In this presentation we show how you can extract clear insights from Twitter, we can provide you not only the topic, but the sentiment and the polarity. Download our case study and turn your raw data into clear and powerful insights!